To select the right pressure sensor for a specific application besides the pressure range first of all the type of pressure measurement has to be considered. Pressure sensors measure a certain pressure in comparison to a reference pressure and can be divided into absolute, gauge and differential devices. 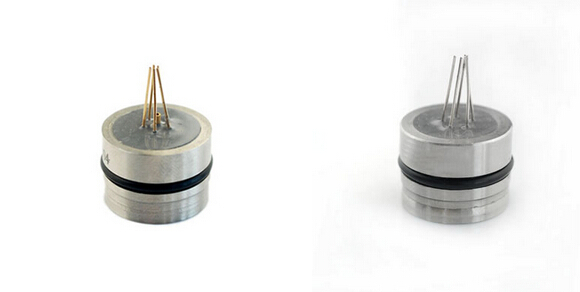 These terms will be explained on the basis of sendo sensor’s piezoresistive pressure sensors. 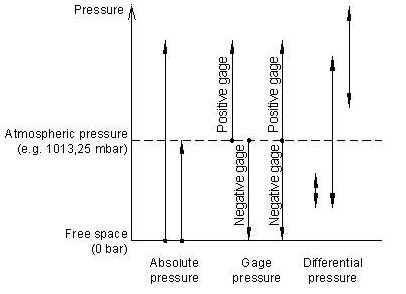 Figure: Comparison of absolute, gauge and differential pressure"
Absolute pressure is referred to the vacuum of free space (zero pressure). In practice absolute piezoresistive pressure sensors measure the pressure relative to a high vacuum reference sealed behind its sensing diaphragm. The vacuum has to be negligible compared to the pressure to be measured. Gauge pressure is measured relative to the ambient atmospheric pressure. The average atmospheric pressure at sea level is 1013.25 mbar. Changes of the atmospheric pressure due to weather conditions or altitude directly influence the output of a gauge pressure sensor. A gauge pressure higher than ambient pressure is referred to as positive pressure. If the measured pressure is below atmospheric pressure it is called negative or vacuum gauge pressure. In general a vacuum is a volume of space that is essentially empty of matter. According to its quality vacuum is divided into different ranges such as e.g. low, high and ultra high vacuum. Gauge pressure sensors only offer one pressure port. The ambient air pressure is directed through a vent hole or a vent tube to the back side of the sensing element and thus compensated.